When Thomas Edison invented the electric light-bulb, he didn’t know he was creating, also, an entire industry around it. He just envisioned how people would want to use what he made and he engineered toward that insight. Design sensibilities include empathy, creativity, a human-centered focus and deep curiosity about the world while design methods consist of observational techniques, visualization, prototyping, sketching, storytelling, brainstorming, and so on. Historically, design has been treated as a downstream step in the innovation process. Designers just come to put a beautiful wrapper around the idea. Now, companies are asking them to create ideas that better meet consumers’ needs and desires. Any industry can benefit by employing design thinking and achieve better results, including healthcare. Recently, the US federal government took the Department of Veterans Affairs’ current health record system, which looks and feels like a receipt, and challenged designers to reimagine a new electronic medical record output to describe a patient’s health history. The challenge received over 230 submissions. The winner, will hopefully, replace the actual format. 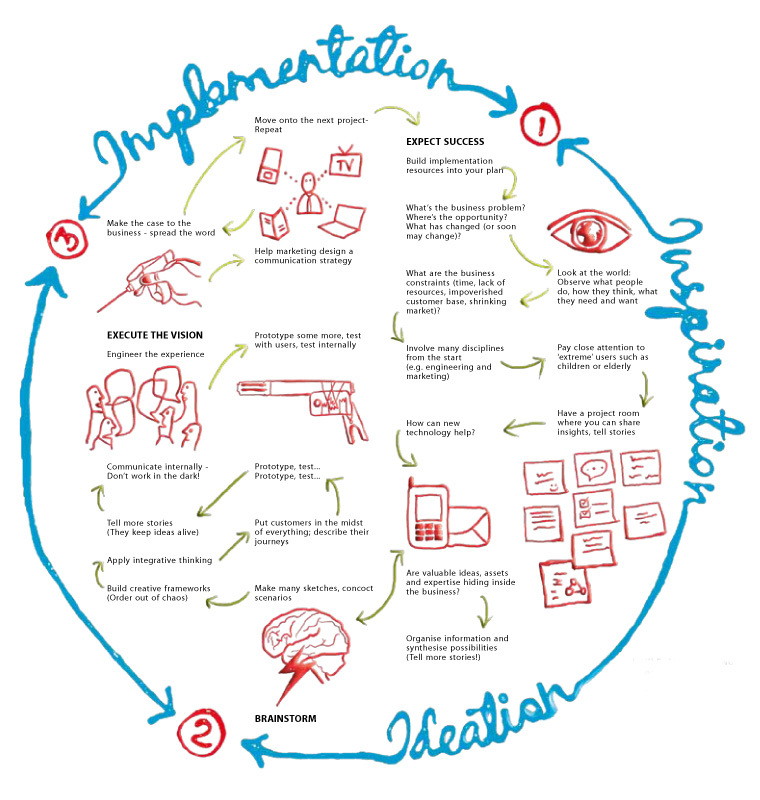 Design thinking process applied to innovation consists of four key stages. Define the problem: Sounds simple but doing it right it is perhaps the most important of all. In design thinking observation takes center stage and requires cross-functional insight into each problem by varied perspectives. Create and consider many options: Design thinking requires that no matter how obvious the solution may seem, many solutions be created for consideration. And created in a way that allows them to be judged equally as possible answers. Looking at a problem from more than one perspective always yields richer results. Refine selected directions: Even the strongest of new ideas can be fragile in their infancy. Design thinking allows their potential to be realized by creating an environment conducive to growth and experimentation. Pick the winner, execute: At this stage prototypes of solutions are created and testing becomes more critical and intense. At the end the problem is solved and the opportunity is fully uncovered. “Design Thinking starts with a need and ends with an idea for a product or service” – Paul Yock (Founder of Stanford Biodesign Program). 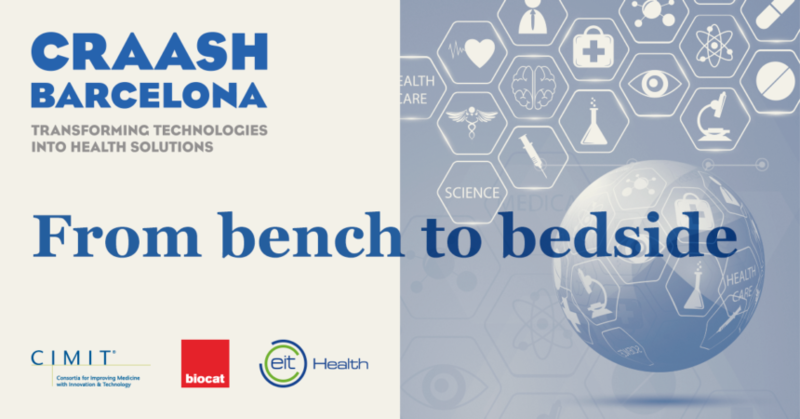 At Design Health Barcelonawe will apply design thinking to deliver change within healthcare. To design clinical experiences that meet patients’ needs, different teams of fellows will immerse for eleven weeks at three clinical settings in Barcelona, Sant Joan de Deu Hospital, Clínic Hospital and Guttmann Institute. They will identify dozens, even hundreds, of unmet needs, understand them and select the most promising ones to, finally, get the winner idea. In the following months, and until the program finishes, they will mature and evolve them until they are ready for the patient. If you want to know more about design thinking we recommend you to watch this video to learn how to think like an artist or Design & Thinking the movie (here is the trailer) and then share your comments with us! Do you think that design thinking has the potential to change our lives? Thinking like a designer can transform the way organizations develop products, services, processes, and strategy. Design thinking is an approach to solve problems understanding consumers’ needs and developing insights to solve those needs. Design thinking relies on our ability to be intuitive, to recognize patterns, to construct ideas that are emotionally meaningful as well as functional and to express ourselves through means beyond words or symbols. Design thinking brings together what is desirable from a human point of view with what is technologically feasible and economically viable. Design thinking is as much a mindset as a process. Design thinking is a system of three overlapped spaces: inspiration, ideation, and implementation. Only through contact, observation and empathy with end-users you can design solutions that fit into their environment.